This post is created for people who're desperately looking for the Best Genesis Child Themes 2018 for their WordPress blogs. Unlike most blogs which displays some random list, I did some analysis, collected best selling Themes list from StudioPress and even installed few themes on my own blogs to check whether it's works similar to the one shown in demo. 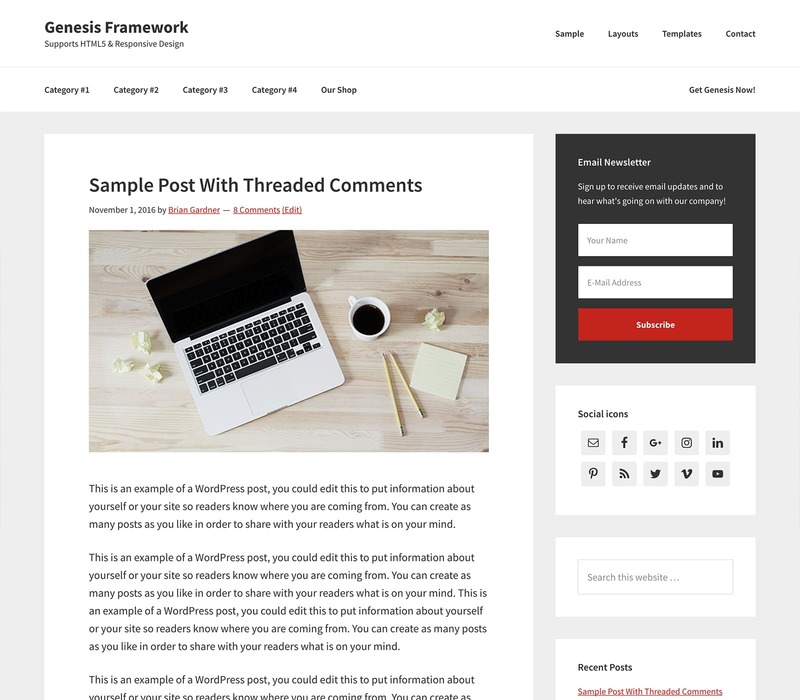 To get used to this Best Genesis Child Themes, you need a StudioPress Genesis Framework. Once you installed it, you can use whatever the child themes you wish. The below list gets updated every month to match the latest themes and I also consider StudioPress sales data which also helps you to check the Best Selling StudioPress Genesis Child Themes. If you have a digital business and a brand to promote to at massive extent, the Infinity Pro Theme is certainly going to be worthwhile for you. The theme not only looks incredibly brilliant but it also offers a whole lot of options for customization to help you provide your customers with the most pleasant experience every time. With 13 widget areas, the theme offers you with a huge space to customize your widgets to fit your brand the best you can. The excellent theme options and the theme customizer make things incredibly easy and fast. Mobile responsive themes like Thrive Themes. It is compatible with all the popular browsers. It gives you access to unlimited updates and support. Let me enlighten you of all the features of this theme. The theme customizer makes it ridiculously easy to customize the theme’s settings from colors, background images to content in the quickest time. The premade templates help you build your site even faster. The theme is responsive and works equally well on all the devices. The header is fully customizable. The theme offers you with 6 layout options. 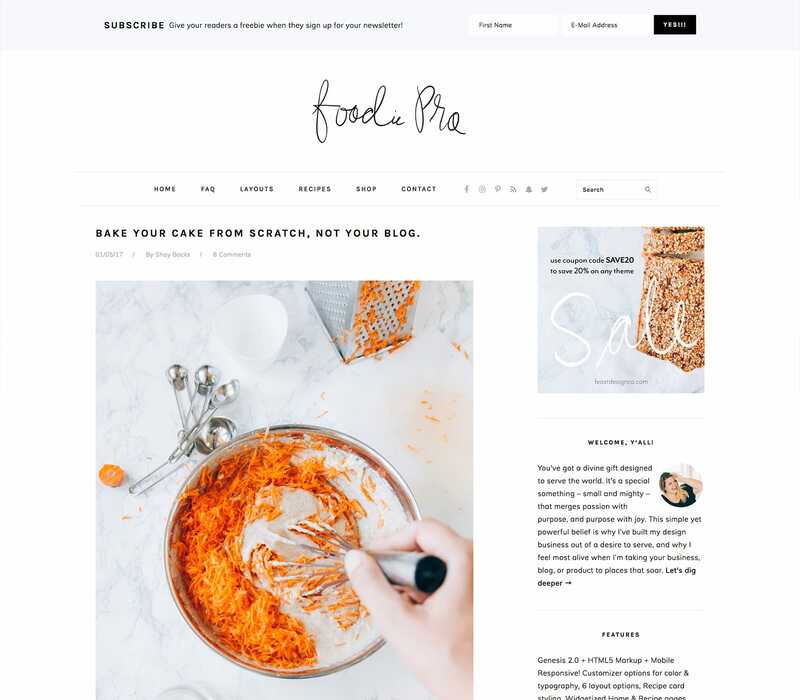 This theme also suits if you're searching for Best StudioPress Themes for Mommy Bloggers. If you are looking for the most flexible theme with the simplest interface, the Business Pro Theme is the ultimate theme for you with an unimaginable leverage to the built-in core functionality of WordPress like custom logos, custom header videos and images, the new image and video widgets, featured images, and more. This is certainly an obvious choice for anyone looking for the best contemporary looks and features. 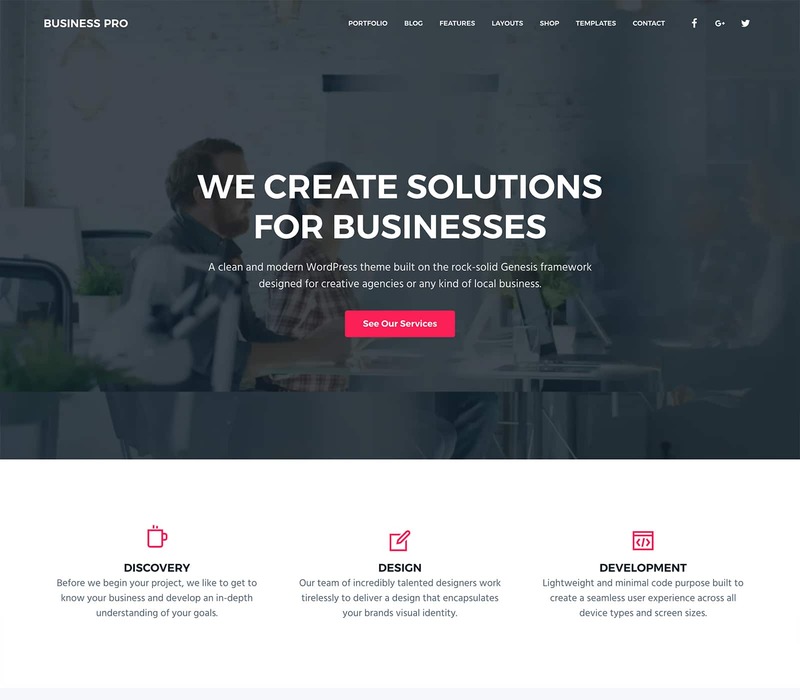 Hands down, the Best StudioPress Themes for Business sites is our Business Pro Theme. The theme allows you to easily setup your online store. It offers you with multiple locations for your widgets to fit your brand. The theme is highly mobile responsive. The theme customizer feature allows you to change the colors and other settings really fast. The header section is fully customization in this theme. 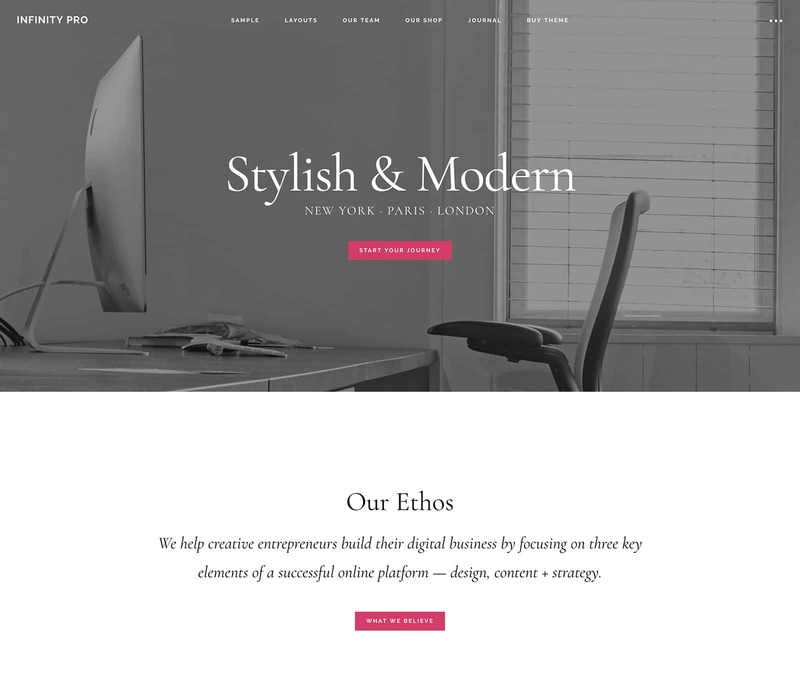 Are you looking for the most stylish and media ready theme? The Magazine Pro theme puts you first in line with its unimaginably versatile layouts especially when it comes to publishing contents every minute and staying ahead of others. The theme includes the Genesis framework. The theme is available at a onetime purchase fee with no hidden cost. With Magazine Pro Theme, have unlimited updates and support. The theme customizer helps you customize the theme settings to a large extent. The theme offers you with 3 areas for homepage widgets. Using Magazine Pro Theme, you can have your website running equally well on all the devices. 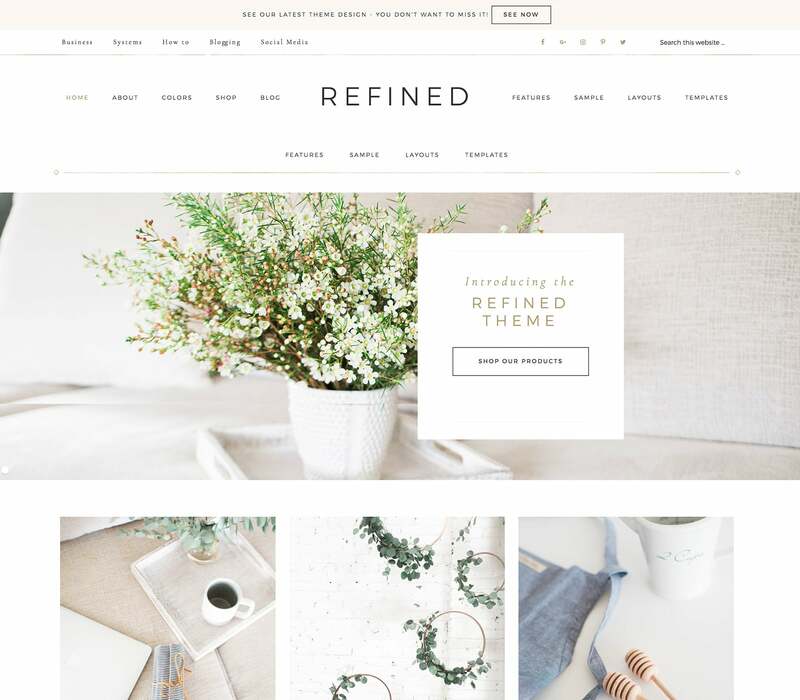 If you are looking for a perfect theme to promote your brand, contents and products, there’s nothing better than the Refined Pro Theme. With Refined Pro Theme, have incredible layout options. Setting up a website and customizing it only takes a few clicks with the Refined Pro Theme. The theme is exceptionally mobile responsive. It offers you with customizable header and 6 widget areas to fit your brand. Most importantly, it helps you set up your online store much conveniently and faster. 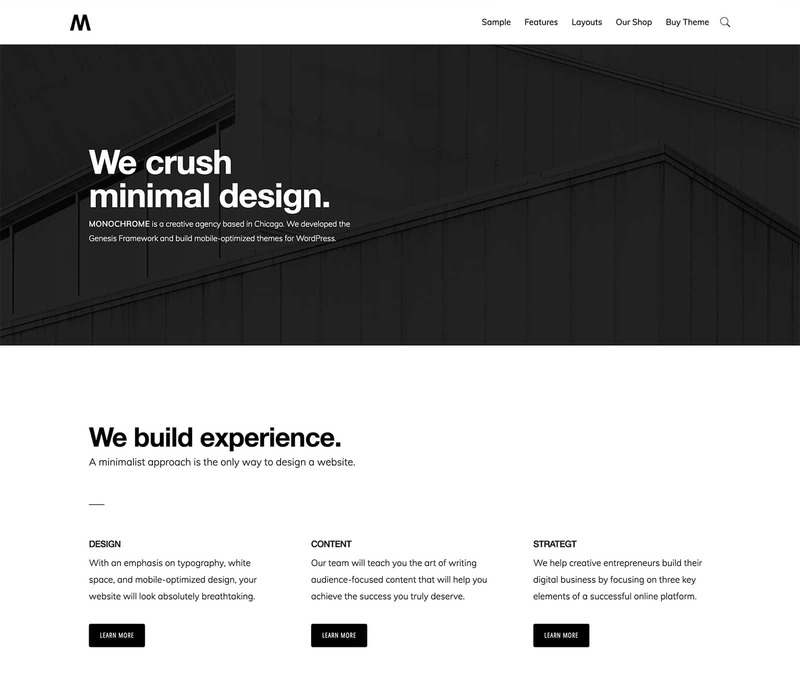 The Genesis-powered theme, Monochrome Pro can certainly offer you with the most powerful digital presence and the most user-friendly set up apart from having the most elegant looks. The theme being a WooCommerce friendly, it doesn’t really take much effort and time to set up an online store using this theme. The theme offers you with 4 widget areas to fit your brand. The theme is compatible with all the popular browsers. It works equally well on all the devices be it a mobile, a tablet or a PC. Get unlimited updates and support with just a onetime purchase. The exceptionally advanced theme options and theme customizer help you setup your website in the quickest possible time. Each time you want to customize anything, it’s ridiculously simple. It offers you 12 locations for widgets to fit your brand. It is certainly a theme with high browser compatibility and mobile responsiveness. Also, it is highly ecommerce friendly and allows you to setup your online store much conveniently and quickly. 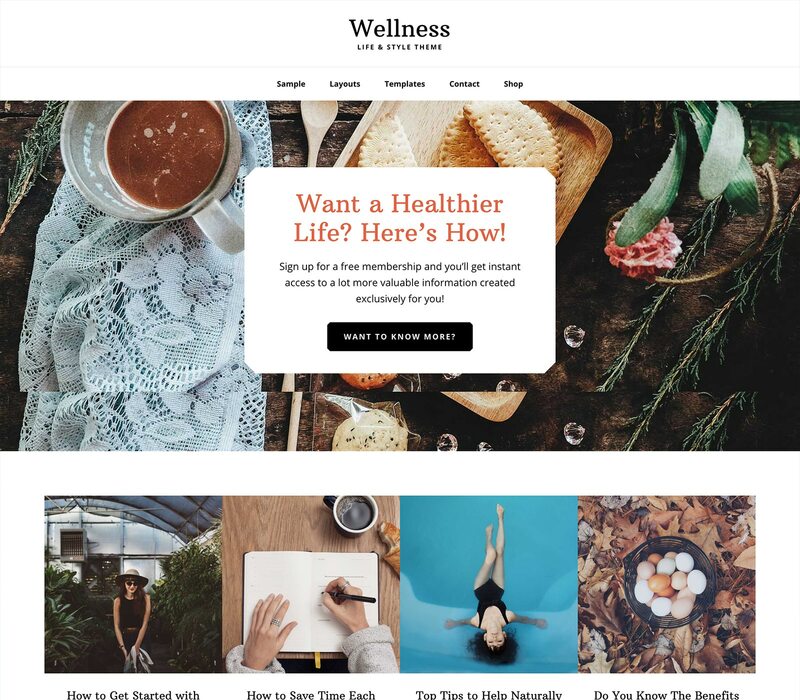 Wellness Pro is one of my favorite Theme since its got an eye catching design and managed to get a place in this Best Genesis Child Themes list. 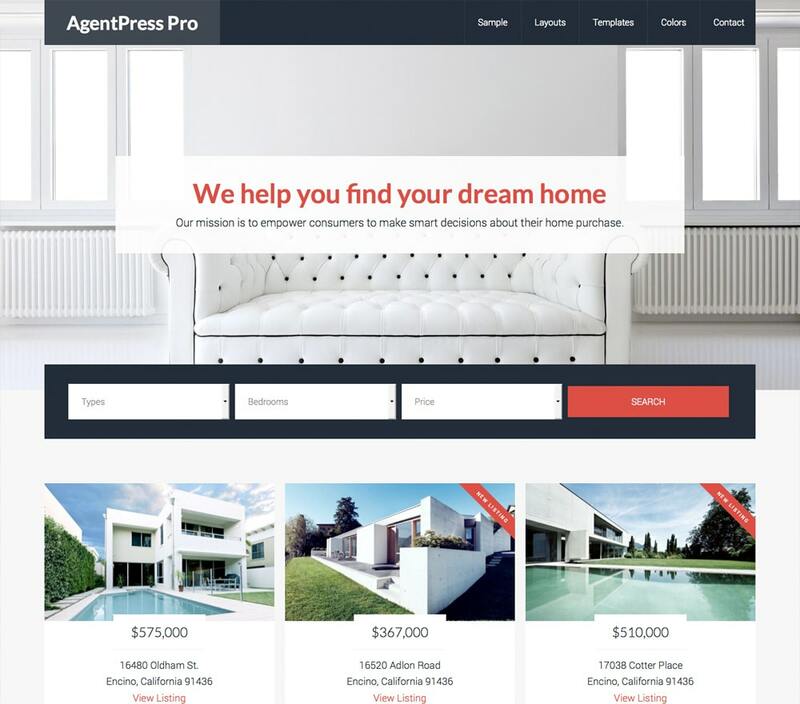 The AgentPress Theme is another elegant Genesis powered theme and it is especially suitable for real estate agents. The theme can give you a superb leading edge over your competitors by its powerful functionality and intuitive design. Have an excellent listing management system with AgentPress Listings Plugin. The theme is highly responsive and works well on all the devices. It is compatible with all the popular browsers like Google Chome, Opera, Internet Explorer, Mozilla Firefox, Safari, etc. Have 6 widget areas for your homepage to fit your brand. It offers you the easiest theme customization options with its theme customizer. 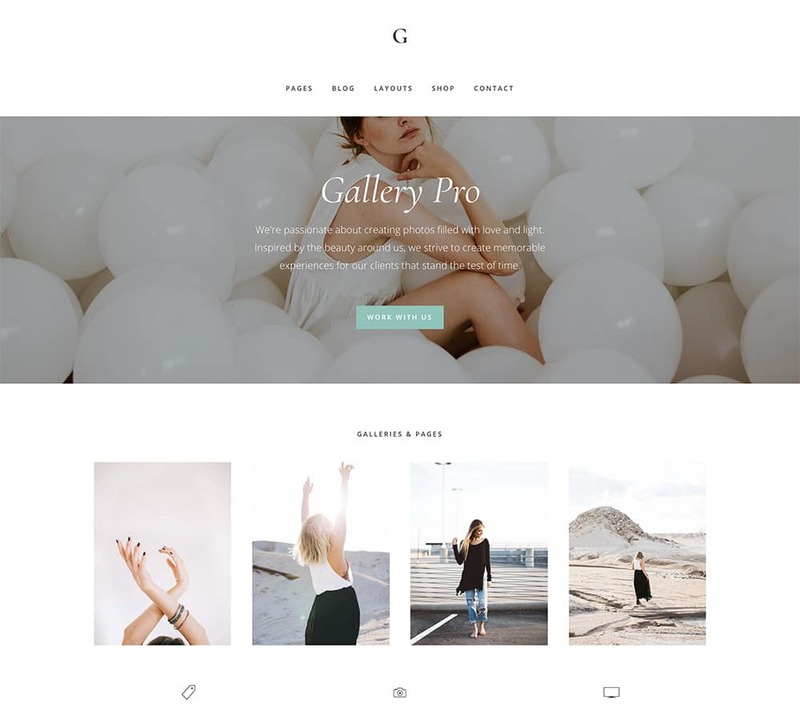 The incredibly posh Gallery Pro Theme undoubtedly has the right mix of gallery images, brilliant topography options, and full stretch pages, layouts and customization options. The stunning selection of premade templates helps you build your website in quickest possible time. Customize the layout any way you like to with the help of the excellent theme customizer that this theme offers. Most importantly, using this theme your website will run equally well on all the device be it a tablet, a mobile or a Mac. The Header is fully customization as well. It gives you access to unlimited updates, elaborate tutorials and support. The Parallax Pro Theme lays a lot of emphasis upon putting the content in the most appropriate narrative order and helps you maintain a real smooth flow of your story. Also, it makes things visually pleasant for your visitors. The theme is exceptionally responsive. 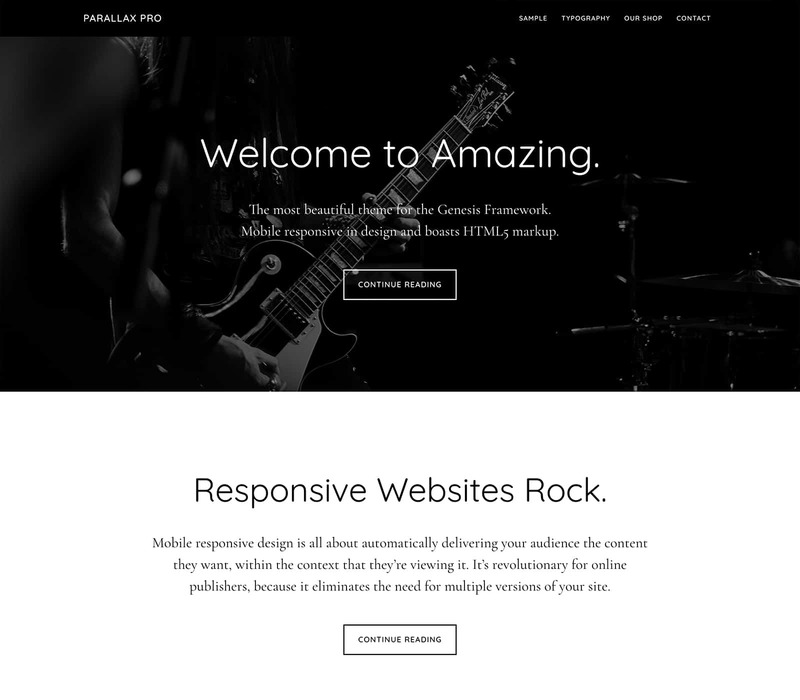 With Parallax Pro Theme, you have 5 homepage widgets areas. It allows you to set up your e-commerce store in the quickest time. The theme customizer makes customizing your website incredibly easy. It gives to access to unlimited updates and support. If you're planning to get more number of Genesis Child Themes, I suggest you to go with Pro Package where you will get access to all StudioPress Genesis Child Themes + Genesis Framework + Third party Themes + Unlimited site usage + Customer support for just a one time fee of $499.